With Super Smash Bros. for Nintendo 3DS out, creator Masahiro Sakurai's job is only half done. 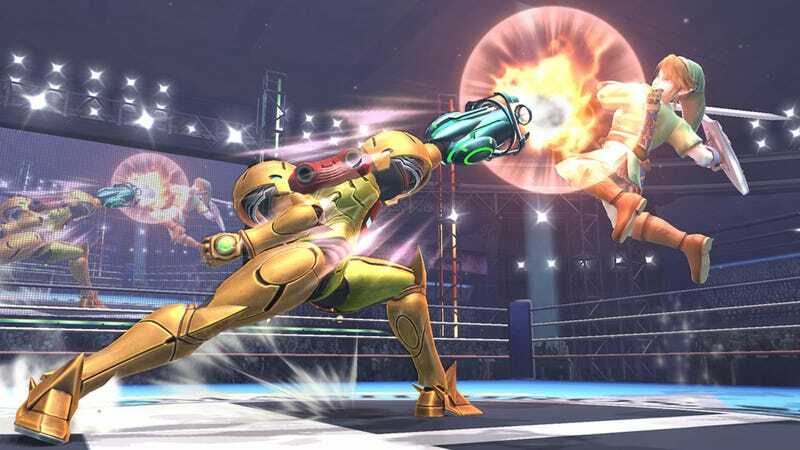 When one fan asked him how it felt to be done with the development on Super Smash Bros., he replied, "I'm not done yet..."
"Game development is very hard." Sakurai went on in his column in Weekly Famitsu. "You cannot get through it without sacrificing everything, including your own private life, and you often get hurt. However, I'm grateful that so many people have been involved, for the games that are completed, and all the people who play the games." Moving on from the topic of the 3DS version of the game to the upcoming Wii U version, Sakurai addressed questions on the topic. On the subject of compatibility between the 3DS and Wii U versions of the game, Sakurai noted, "If you have the 3DS version of Smash Bros. you will be able to use your 3DS as a controller for the Wii U version." Sakurai also added that players would be able to share customized fighters and Mii fighters between the 3DS and Wii U versions of the game. As for differences between the versions of the game, Sakura stated that an announcement – possibly a Nintendo Direct – highlighting the exclusive features of the Wii U version that will show the "true potential of Smash Bros." was currently in the works and will be released soon. The official Japanese Smash Bros. Twitter did release an image for the Wii U version yesterday showing what appears to be an exclusive single-player game mode. The images shows 2 features, a "Master Side" and a "Crazy Side," but the title of the actual game mode is blurred out. Details on this new mode have not yet been released. The tweet caption says, "[Picture of the Day] What is this mode...!?" Super Smash Bros. for Nintendo 3DS is currently available. Super Smash Bros. for Wii U is scheduled for release in the US on November 21st, Europe on December 5th, and Japan and Australia on December 6th.